The field of application or the suitability of a pressure sensor for a hazardous area is designated by the marking on the device. As a matter of principle, intrinsically safe pressure sensors marked Ex ia can be used in zone 0 (the “most dangerous” area), whereby a number of additional conditions have to be taken into account. Other ignition protection types can also be used in the other Ex zones. For example, both intrinsically safe (Ex ia or ib) as well as explosion proof (Ex d) pressure sensors can be used in zone 1. For applications in zone 2, a non-incendive (Ex n, i.e. Ex nA) device can also be used. However, as the selection of a pressure measuring instrument not only depends on the zone – the duration of explosive mixtures present, but also on a number of other factors, for example, the nature of gases present and their necessary ignition energy, not all intrinsically safe pressure sensors can be used in zone 0. The suitability of pressure sensors for different Ex zones is largely limited by the electrical connection. Which pressure sensor design is suitable for which hazardous area zone is given in the data sheet or in the EC type examination certificate. 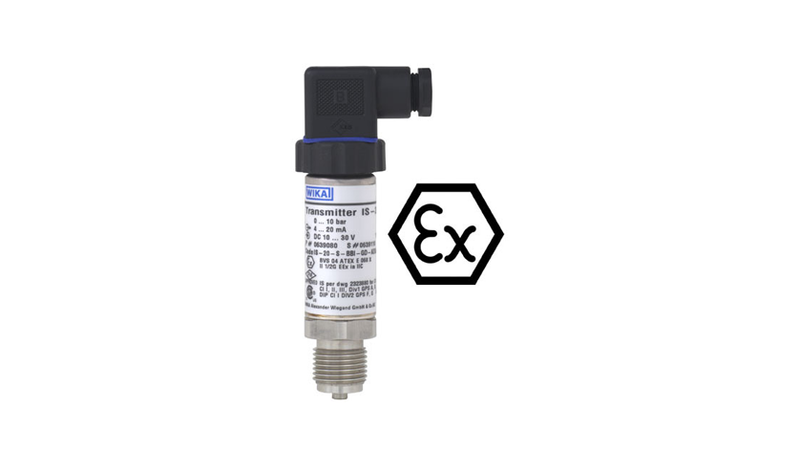 If a pressure sensor is ATEX approved you can use device category 1 G in zone 0, device category 2 G in zone 1 and device category 3 G in zone 2 for gas applications. If a pressure sensor is marked for category 1/2 G, then it can be installed in zone 1 adjacent to zone 0. In the case of electrical equipment for all explosive areas (except firedamp areas) one differentiates between the required ignition energy of the gases present. Next to being classified according to ignition temperatures, the gases are also classified into groups IIA, IIB and IIC depending on the explosion risk. Gases in category IIC have the highest explosive risk, and gases in category IIA the lowest explosive risk. Equipment marked for category IIC can also be used for categories IIA and IIB. Equipment in category IIB can also be used in category IIA.